Download Videos in Opera with One Click for Free. SaveFrom.net help is an add-on for Opera which enables you to download media files from major video/audio sharing sites like YouTube, Facebook, Vimeo, Dailymotion, soundcloud, etc., for free. You can even download pictures, playlist and tweak more(settings) to get better out of it. Language support: English, русский, français, Deutsch, Türkçeу, країнська, Bahasa Indonesia and español. 1. 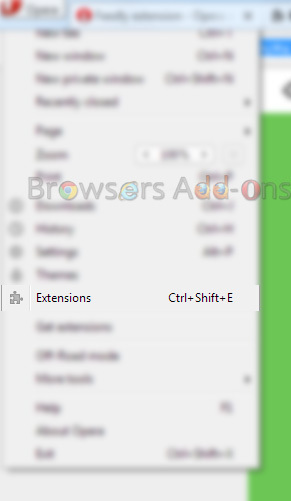 Go to SaveFrom.net helper Opera add-ons page, or simply click here and click on “Add to Opera“. 2. On successful installation, “+ Add to Opera” turns to “- Installed ” and a popup message appears confirming the same. 1. On successful installation, you will be directed to welcome/congratulations page. 2. To download, just go to desired sites and play the video. For example, in YouTube, the download button appears just below the video, side of “Subscribe” button. 3. For other services, you should find the download button some where under the video button. 1. Click on the Opera, located at left upper corner of the web browser and go to “Extensions” or press “Ctrl” + “Shift” + “E“. 2. Click “Disable” to temporarily de-activate the add-on. Click “X” to remove the add-on from Opera. Note: Browsersaddon discourages you to download the copyright content. Next story Enable Ratings Preview for YouTube with an Extension. Previous story Clear Cache on Google Chrome with One Click with an Extension.